A prediction calculator for cumulative live birth in IVF based on the UK's HFEA database has been validated in an external independent cohort of IVF patients. There was much interest in a 2016 report describing an outcome prediction model for IVF said to be the world's first with cumulative estimates over multiple IVF cycles. (1) The online calculator, developed from analysis of more than 113,000 eligible patients in the HFEA database, was said to estimate the individualised chances of couples having a baby both before and after their first IVF treatment, and over multiple IVF/ICSI cycles thereafter. The analysis showed that 29.1% of the couples studied had a live birth after a first cycle of treatment and 43% after six completed cycles. And it was this analysis which provided the basis for two clinical models - one using information available before starting treatment and the other based on additional information collected during the first IVF attempt. The researchers, from the universities of Aberdeen and Rotterdam, explained that the model would aid 'clinicians communicating to couples their personalised chances of a live birth over an entire package of IVF treatment', but warned that it 'should not be used to make decisions around whether or not couples should have IVF treatment' (because of some missing baseline data, such as BMI). They said it would also 'help to shape couples' expectations' and to plan their treatments more efficiently. As expected, results showed that, independent of treatment, the chances of a couple having a baby decline after the woman's age of 30 and with increasing duration of infertility. After female age and following transfer of a fresh embryo in the first cycle, increasing number of oocytes collected (up to 13), embryo cryopreservation and stage of embryo transfer were the next best predictors of outcome. Thus, a 30-year-old woman with two years of unexplained infertility had a 46% chance of having a baby from the first complete cycle of IVF and a 79% chance over three complete cycles. However, in their note on limitations, the researchers added that 'because our model was developed using the UK national IVF registry database with the intention of being used in the UK there is no urgent need to externally validate on data from another geographical location, especially since IVF practice and policy varies across countries'. This effectively confined the calculator to UK clinics, a limiting factor which has now been addressed. The same group working with investigators from the OPTIMIST study have now validated the model in the 'independent cohort' of the OPTIMIST studies, a group of 1515 Dutch women who completed almost 3000 cycles between 2011 and 2014. (2) As in the original model, a complete cycle was defined as all fresh and frozen thawed embryo transfers resulting from one episode of ovarian stimulation, with follow-up over 18 months and primary outcome defined as ongoing pregnancy leading to live birth. 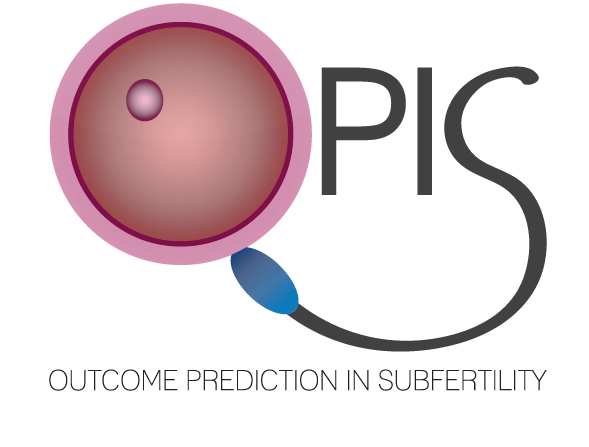 Results showed that the original two models of pre and post treatment proved accurate predictors of cumulative live birth in the OPTIMIST cohort. The investigators thus concluded 'the McLernon prediction models can be introduced as new counselling tools in clinical practice to inform patients and to complement clinical reasoning'. As before, they noted that these models are the first to offer an objective and personalized estimate of the cumulative probability of a live birth over multiple complete IVF cycles. The models can be found online at https://w3.abdn.ac.uk/clsm/opis. * In 2017 a register-based national cohort study from Denmark, which included all women starting fertility treatments in 2007–2010, found that within five years 64% of women aged <35 years, 49% aged 35–39 years and 16% aged ≥40 years had had a live birth resulting from treatment. (3) Additionally, 16%, 11% and 10% in the three age ranges delivered after natural conception, yielding total five-year birth rates of 80%, 60% and 26% respectively. 1. McLernon DJ, Steyerberg EW, Te Velde ER, et al. Predicting the chances of a live birth after one or more complete cycles of in vitro fertilisation: population based study of linked cycle data from 113 873 women. BMJ 2016; 355: i5735. 2. Leijdeikkers JA, Eijkemans MJC, van Yilborg TC, et al. Predicting the cumulative chance of live birth over multiple complete cycles of in vitro fertilization: an external validation study. Hum Reprod 2018; doi:10.1093/humrep/dey263. 3. Malchau SS, Henningsen AA, Loft A, et al. The long-term prognosis for live birth in couples initiating fertility treatments. Hum Reprod 2017; 32: 1439-1449.